From September 16 through 27, the Centre Gallery at the University of South Florida will host ”Heart Out” by Kelly Boehmer. Opening Reception: September 16 – 12 – 1pm. Prices and Hours: It is free and open to the public. Gallery hours are 11am to 5pm, Monday through Friday. Here is the Centre Gallery page. Kelly Boehmer is an adjunct professor at Florida state University, the Art Institute of Pittsburgh Online Division, and Chipola College. Kelly is a volunteer instructor for adult artists with developmental disabilities at Pyramid Studios, Tallahassee, Florida. 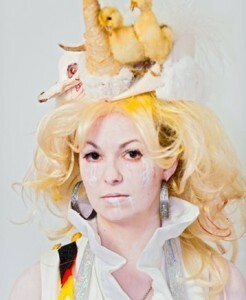 She is a member of the perfomance band Glitter Chariot. Selected Exhibitions & awards: 2010 – Lite-brite, Lite Box Gallery, Birmingham, Alabama; Ribbon of Darkness, The Front, New Orleans, Louisiana. 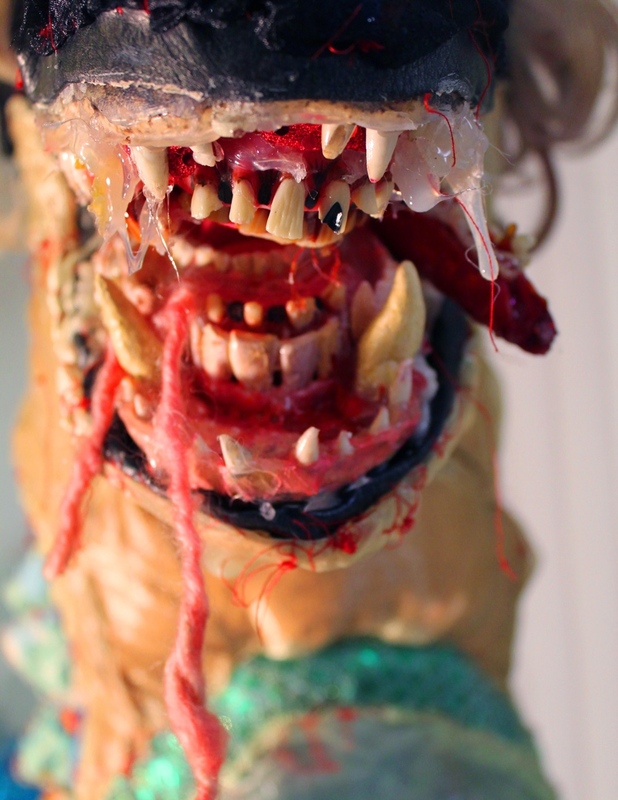 2009 – Spit it Out, The 621 Gallery, Tallahassee, Florida. 2008 – Seeing Green: an Eco-art Exhibition, Alija Derzelez House, Sarajevo, Bosnia and Herzegovina; Freaks, Privateer Gallery, New York, New York. 2007 – Stories, The 621 Gallery, Tallahassee, Florida; Combined Talents: The Florida International Competition, Florida State University Museum of Fine Arts, Tallahassee, Florida. 2006 – Tranceplant, Circa Puerto Rico International Art Fair, San Juan, Puerto Rico; Acts, William and Nancy Oliver Gallery, Tampa, Florida; Hechas de Amore, Edge Zones Art Space, Miami, Florida; Venus in Faux Fur, Edge Zones Art Space, Miami, Florida; Jack and Jeanne Rozier Winter Fellowship; Martha and Evert Nolten Memorial Scholarship.